(Austin)— Austin Water has issued a city-wide boil water notice for all customers of Austin Water. The notice is being issued as the utility works to stabilize the water treatment system. Historic flood waters flowing into our water supply lakes contain very high levels of silt that makes it challenging for the water plants to produce the volume of water needed to supply customers at this time. The high level of debris, silt and mud requires extended filtration that slows the process of getting treated water in to the system. To provide necessary water pressure for fire protection, plants must distribute water at treatment levels not typical of the utility’s high standards for consumption. To ensure that water is safe, customers are asked to boil water used for drinking, cooking or ice until further notice. It’s important to note that there have been no positive tests for bacterial infiltration of the system at this time. Reduce water use as much as possible to ensure adequate supply is available for basic needs, fire protection, public health and safety. Boil water intended for consumption. To ensure destruction of all harmful bacteria and other microbes, water for drinking, cooking and for making ice should be boiled and cooled prior to consumption. The water should be brought to a vigorous, rolling boil for three minutes. In lieu of boiling water, you may use bottled water. Businesses should not use drinking fountains or soda fountains that rely on tap water. The boil water notice will be lifted once Austin Water can stabilize the treatment systems. Austin Water will notify residents when the water is safe for consumption and it is no longer necessary to boil the water. City of Austin and Austin Water are working in coordination with public health and safety partners in the region to keep the public informed. To ensure destruction of all harmful bacteria and other microbes, water for drinking, cooking and for making ice should be boiled and cooled prior to consumption. The water should be brought to a vigorous, rolling boil for three minutes. You may also use bottled water. State laws require that a Boil Water Notice be issued if a water systems has (or could have) become contaminated from water main breaks, loss of system pressure, or results of routine sampling in the system. WHAT SHOULD I DO IF A BOIL WATER NOTICE IS ISSUED? Only use boiled or bottled water for cooking, making ice, washing fruits and vegetables, and making baby formula. If you must use water to make formula, use bottled water. If you don’t have bottled water, use water that has been rapidly boiled for at least three minutes. WHY IS THE BOIL WATER NOTICE IMPORTANT Inadequately treated water may contain harmful bacteria, viruses, and parasites which can cause symptoms such as diarrhea, cramps, nausea, headaches, or other symptoms. They may pose a special health risk for infants, young children, some of the elderly and people with severely compromised immune systems. For questions or concerns, please contact 3-1-1. 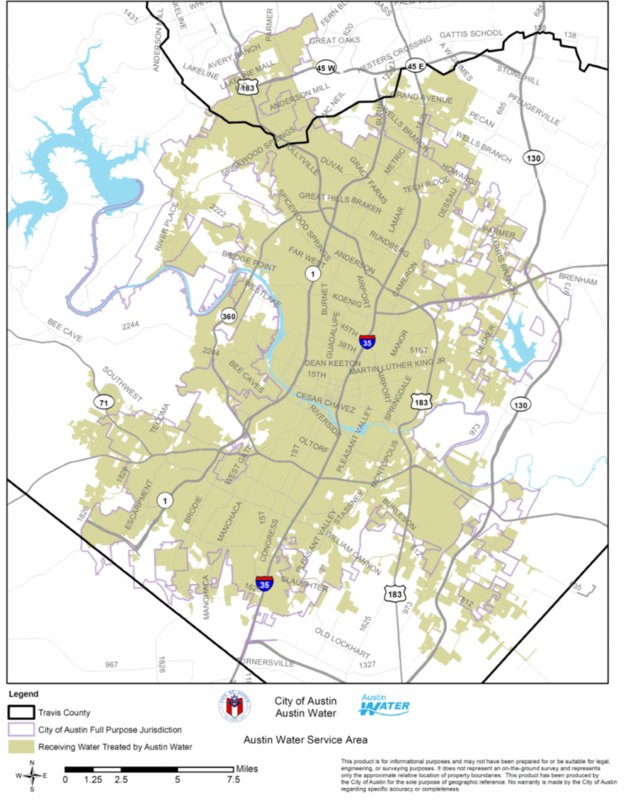 The post Austin Boil Water Notice and Info appeared first on Lawnstarter.